Last week has been a little slow on sewing side. And now the summer holidays is around the corner so I have to think of how to keep my energetic sons busy. I enroll them into a summer camp sort of things, so that will keep them amused for sometimes. Meanwhile, I managed to finish my (yet again) table runner. 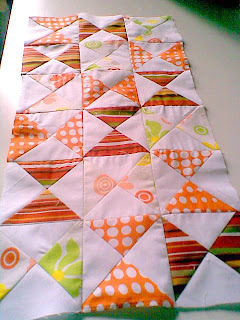 Yup, the zig zag quilt one. I was thinking of giving a white border (sash? 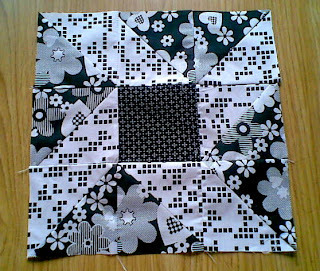 ), but it wasn't look good so I opened it again and decided not to give any border. Instead I chose red polkadots as a backing & binding. What do you think? There was a little bit binding left and one morning I made this pencil holder out of Fox can..now it looked more decent, don't you think? I've been a bit busy recently. Not so much of sewing though. I still have the Red zig zag runner to finish. However I was so excited with my new toy..Olfa rotary cutter which I finally bought from Yvette at Etsy. She's so nice to double wrap it without any additional charge. And one more thing, I made this knotted dress for my friend's niece. Got the fabric from one of my regular shop. It's the last 1.5 yards fabric. I love the color, it's perfect for summer. I was thinking of yellow solid for the strap but I didn't have it in stock so I went ahead with the blue one instead. Yup, it’s done. Yesterday I just couldn’t stop my self to finish it. I settled for burnt orange backing and I used thin foam as a batting (still no luck with the batting, the company I wrote to only take bulk orders ). For the binding, I was thinking of a lime green fabric, but I didn’t have it in stock and I went for the 2nd best, the green polkadots. I guess it’s not look bad..don’t you think? 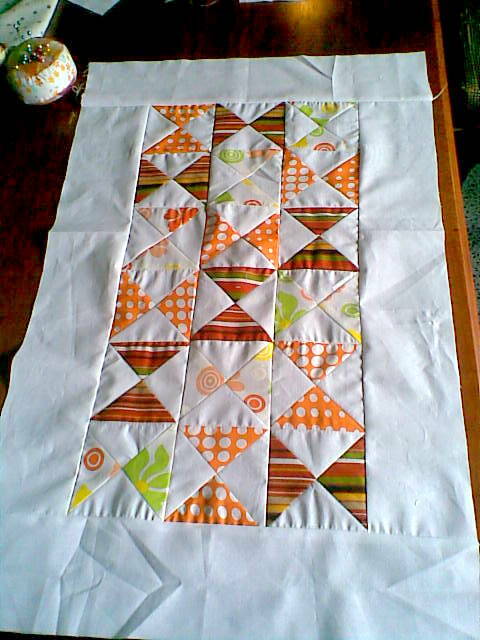 I pieced the squares using my DIY Quilting Rulers. Well, I must say I’m quite happy with it. I guess I will make a bigger one:). This one I quilted by machine. I was thinking of doing free motion but not sure how will I do it since I don’t have a proper shoe for that. 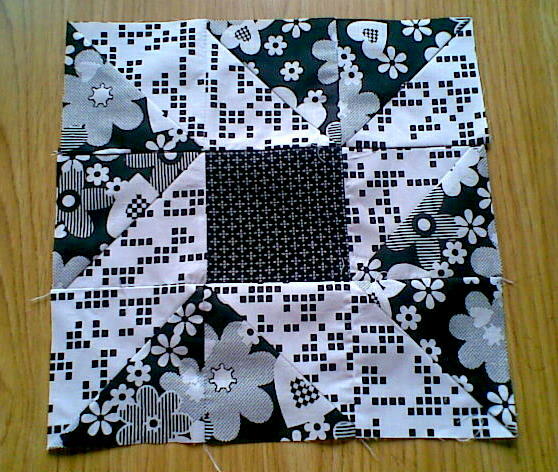 I think I will do small quilt (maybe a pot holder?) and will use it as a practice piece for my free motion. Now, I already thinking of another runner project to try, but I got to finish few custom orders and I saw SKIRT WEEK at Crafterhours. I don’t know whether I will be able to make one but I really want to try. 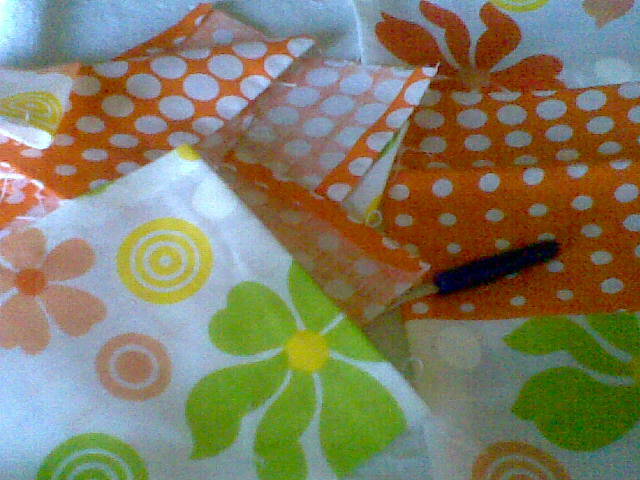 As it is I got several fabrics which I thought I’ll make skirts. PLUS…check out the PRIZES…..Hmmm…let’s see…. I hate to unpick stitches:(. This orange squares have gone through a lot. 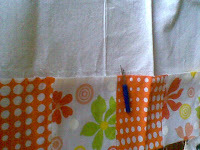 I love the fabric and wanted to make table runner. First I just put the squares together and put a solid white in the middle, but it didn't look good. And since i hate unpicking it, I thought of doing some applique works on the solid or some hand embroidery. Again it was not good. So I decided to unpick (yay) n make hour glass squares instead. N been playing with layout ideas the whole afternoon. Can't wait to finish it. This is what's I've done so far. 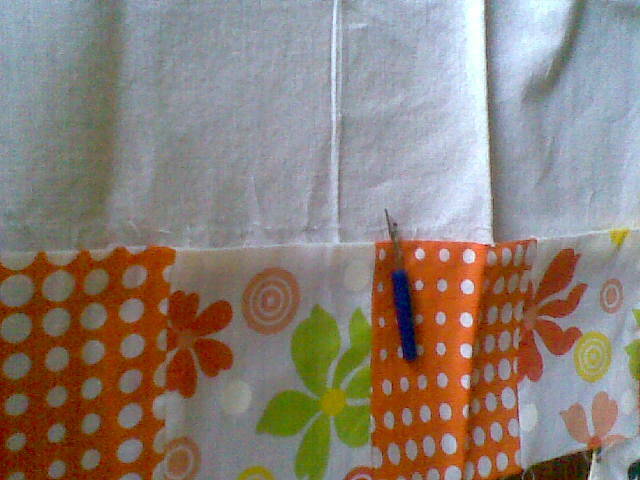 The backing fabric is from one if my Tunic.